Walnut oil is extracted from English walnuts. It contains polyunsaturated fatty acids, monounsaturated fats, and saturated fats. Walnut oil is also rich in zinc, manganese, niacin, potassium, and copper. Walnut oil is excellent for hair care. Benefits of walnut oil for hair and best uses were discussed in How to Achieve Silky and Stronger Hair with Walnut Oil. 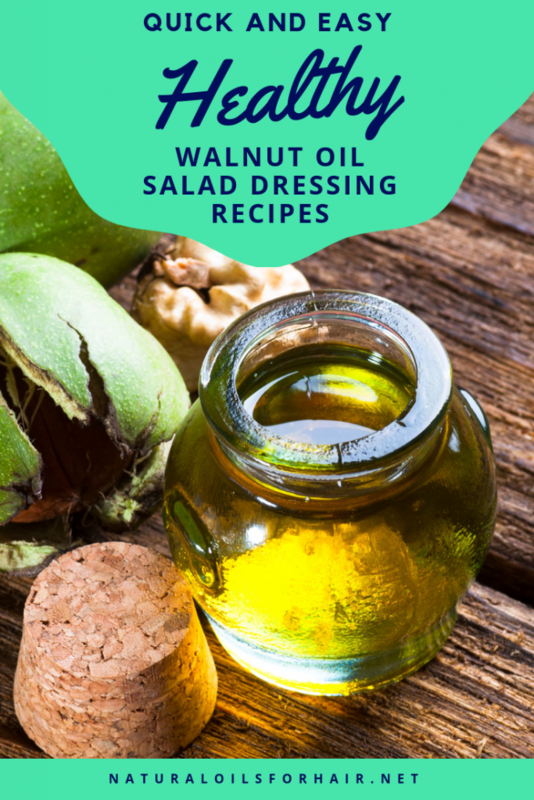 However, walnut oil can also be used in cooking and makes a great healthy ingredient in salad dressings. Walnut oil has a nutty aroma and flavor, which is very pleasant to the senses. Its monounsaturated fats, omega-3 fats, and antioxidants content are part of what makes it an excellent option as a salad dressing. Walnut oil is an excellent source of calcium, iron, selenium, phosphorous, magnesium and zinc. Walnut oil also contains significant amounts of vitamins B1, B2, and B3 as well as vitamin E, vitamin K, and niacin. Consumption of walnut oil helps control cholesterol levels and improve the functioning of our cardiovascular system. Walnut oil contains ellagic acid, gallic acid, and malic acid; antioxidants that help inhibit the growth of harmful tumours in the body. Walnut oil also has anti-inflammatory, anti-aging and regenerative properties, which promotes healthier looking skin. It also contains properties which can help alleviate and fight against fungi such as candida and infections. 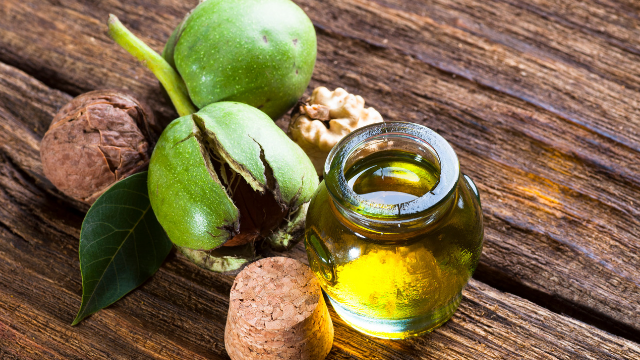 If you’re on a weight loss program, you should add walnut oil to your diet. Cuts down belly fat and optimizes your weight loss. Walnut oil has a low smoking point hence why it works best as a salad dressing. Heating it up can give it a slightly bitter taste. Walnut oil can also be used in sauce preparation and bread and vegetable dip recipes. There are many recipes for walnut oil dressings but below is the recipe I use the most. In a clean bowl, add all ingredients then whisk until all the ingredients are immersed properly. 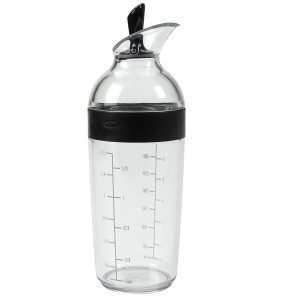 Pour into a salad dressing shaker like this one and set aside for future use. Before every use, I shake the bottle then drizzling lightly over my salads and sprinkle some more salt and black pepper if necessary. This is the only dressing I use. 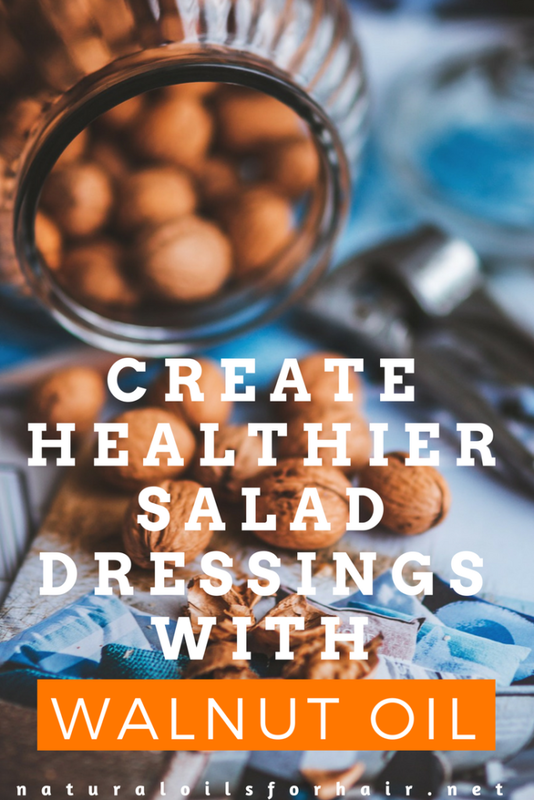 If you like creamy dressings, you can add other ingredients like mustard or mayonnaise just before drizzling over salads but it won’t be as healthy. I also drizzle this dressing over pan-fried salmon before eating. The taste of seafood makes me gag but this mix helps to mask the smell significantly and give it an interesting flavor. You can also drizzle this recipe over pasta. By the way, walnut oil is one of the recommended oils for cooking on the keto diet. Walnut oil is healthy but consuming too much can lead to weight. Additionally, if you’re allergic to nuts, I would recommend stirring clear of walnuts. Olive oil is a similar alternative. You can also find alternative oils in the cooking with oils archives. Where Can I Buy Unrefined Walnut Oil? Cold pressed walnut oil has the best concentration of nutrients as well as the best taste. If you’re planning to cook with it, you should go for the unrefined variety. Some excellent unrefined walnut oil suggestions include Jean LeBlanc French Walnut Oil, La Tourangelle Roasted Walnut Oil, and Erbology Organic Cold Pressed Walnut Oil. Another brand of walnut oil is black walnut oil, which comes from a different tree. Walnut oil and black walnut oil have similar properties. However, the taste and aroma of black walnut oil are a bit stronger. You can test the two to see which one will work best with your salads. Always buy virgin walnut oil. It’s a bit more expensive but rest assured all the nutrients are retained in it. Have you tried walnut oil in your cooking before? Share in the comments section.